We hope you can find the information you are looking for- if not please don't hesitate to contact us. Kirkham Town Council is a body of locally elected representatives who look after the best interests of Kirkham Town, its residents, leisure facilities, parks and open spaces. Notice is hereby given that three vacancies have occurred among the members of the Town Council. Any person willing to fill these vacancies should apply to the Clerk for an application form on or before the 20th August 2018. The applicant's name must appear on the current register of the Voters List or the applicant should during the whole of the twelve months preceding the relevant date have resided in or within three miles of the town or the applicant’s only place of work during the whole of the twelve months preceding the relevant date is in the town. PUBLIC elections cannot be held until the year 2019 but for the interim period the present sitting Councillors may co-opt to fill the vacancies. 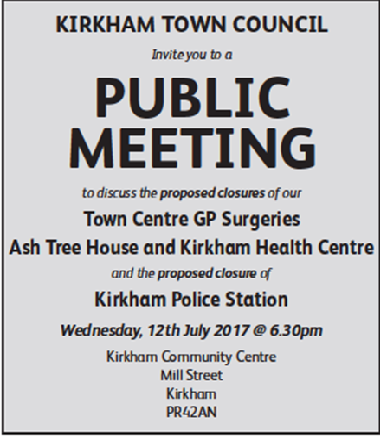 Are you happy with the new CCG proposals for moving all the GP Services out of Kirkham? Representations are requested in writing to the Commissioner’s office, Front Counter Review, County Hall, Pitt Street, Preston PR1 0LD or via commissioner@lancashire-pcc.gov.uk (please mark your email FRONT COUNTER REVIEW in the subject box and ensure you leave your contact details if you require a response. The deadline for responses is 21 July, 2017. ​This consultation is intended to gather the views of Kirkham residents which will give Kirkham Town Council a clear plan for the development of the Town’s Parks, Open Spaces, Sports Facilities and community buildings over the coming years. Any ideas for future development are very welcome. Please click here to save the questionnaire to your computer. 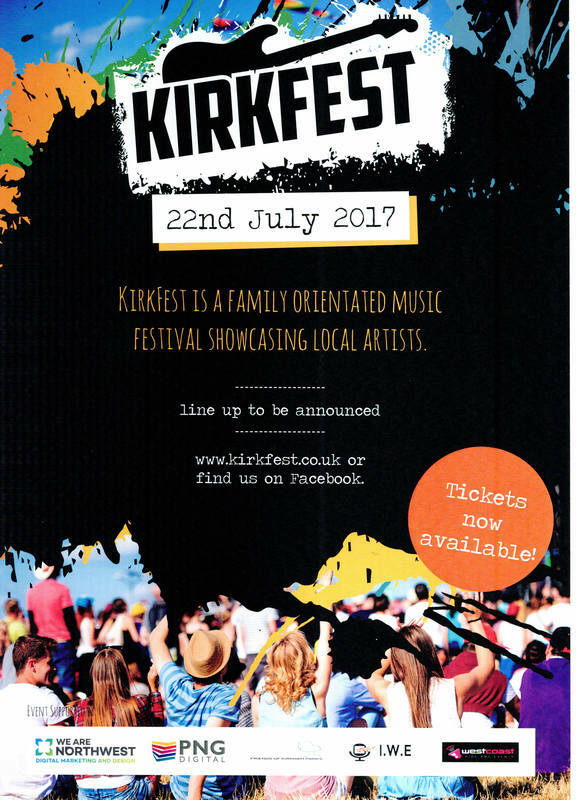 ​Completed forms can then be emailed to kirkhamcouncil@btconnect.com or printed and posted to the Community Centre. Hard copies are available from the Clerk's Office.